Let’s say you have some fancy Raspberry Pi setup at home which does some home automation (e.g. via GPIOs) or other tasks for you. But how do you remote control your tasks if necessary? My suggestion is a web interface or a simple android smart phone or tablet app (these devices are usually at hand, so there is no need to access you pi directly). In order to realize a web interface and a smart phone app you need two things. This post will guide you to realize the raspberry configuration for an apache2 web server controlling any command you usually execute via the shell. This post does not include instructions for a web interface or android app, but we will give you those. A small script for JavaScrip access for a possible QML App is here. Apache2 is a web server we will apply for this task, (but any other web server with SSL and htaccess could do the same task). and fill out the field accordingly. Note: Replace <YOUR_PIS_HOST_NAME> with your pi’s hostname or (if you want to access the pi from outside your network) your domain. 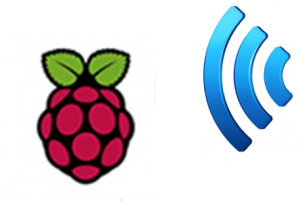 Note: On Raspbian W/var/www/html/” , but “/var/www/”. At this point I will explain something you can’t find in the referenced tutorial. We will add a redirect in case you forget to enter https. So all requests to http will be redirected to the previous created https. Last you hast to run tow commands to add the ssl-site and restart apache2. Test it by visiting http://YOUR_PIS_HOST_NAME and https://YOUR_PIS_HOST_NAME. Your browser will warn you, beause the ssl certificate is self-signed, but thats fine. 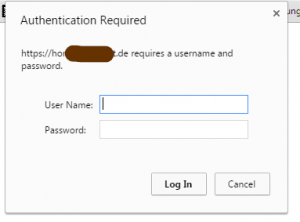 and replace <USERNAME> with the user name you want to login later. You will have to chose a password next. Enter it and continue. A ‘control website’, like I called it here, is the php-page you call when you want to trigger a command. Of course, the calls can be parameterized, but we’ll get to that. While there is the possibility to create a nice looking web page, i recommend to now do this here. The site we are about to create is something you our other users in you home should/will never see. Thus, the only thing our page will echo is a status / result or something like this. So our website will be a php site. As we want to remote control our pi, we need to execute some commands. Explanation: When I call this script like http://HOSTNAME/control_page.php?state=”Banana 1″ it executes a lame echo command. On our browser you should see a white screen with the text “Received Banana 1”. But from this point you can call any function you desire. Just be aware that the function will be executed as www-data user. If you want to run command requiring root-rights, you will have to handle this additionally. We will present you posts on how the code of an simple android app with java or qml might look like soon. If you like the script or need some help on adapting this to your needs, please leave a comment.